Bottom surface has back stop. 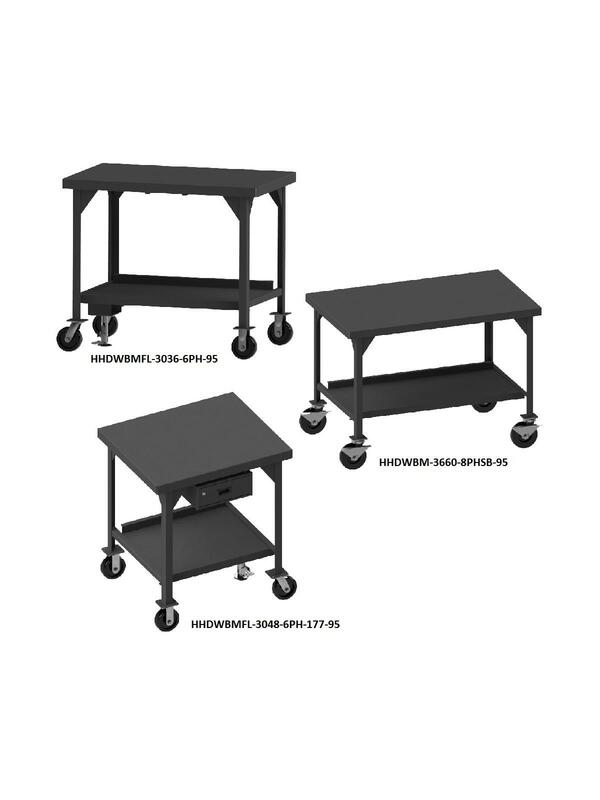 Units include a floor lock to keep the workbench in place while working. 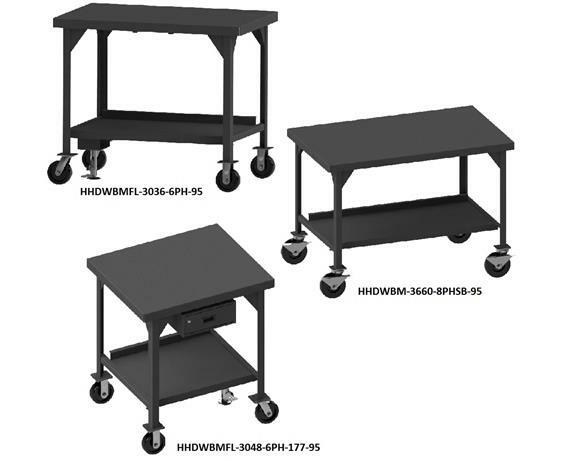 Provisions for optional drawer Model H177-DRAWER-95 (see Related Items tab). FOB Shipping Point. HHDWBM-3660-8PHSB-95 and HHDWBM-3672-8PHSB-95 units include side brakes. 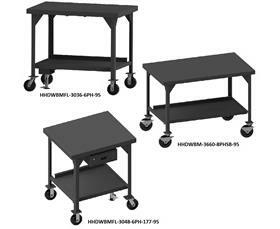 See Related Items tab for Drawer for Durham Work Benches.